The Federal Point Historic Preservation Society will hold its annual holiday potluck on Monday, December 16 at 6:30 pm. We will be gathering at the Kure Memorial Lutheran Church again this year. The church is located at 117 N. 3rd Ave. in Kure Beach and we will be in their Fellowship Hall so that we have plenty of room for everyone! Please join us for an evening of friends and fellowship. Bring your favorite covered dish and invite your friends (prospective members). 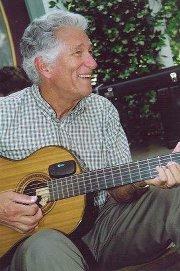 John Golden will be playing traditional carols and songs for the group to sing along. Parking: The Church faces Third Avenue. Third Avenue has some marked on-street parking. 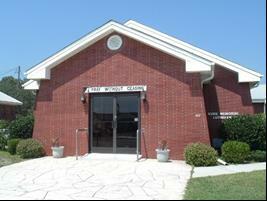 Also, there is a Municipal Parking Lot on the East side of Third Avenue adjacent to the Kure Beach Community Center. The Fellowship Hall is on the Fourth Avenue side of the Church property. There is no on-street parking there, but there is a grassy area on the Church grounds where cars can be parked, space permitting. If no parking spaces are to be found on Third or Fourth, there is public parking on K Avenue, 1/2 block south of the Church.